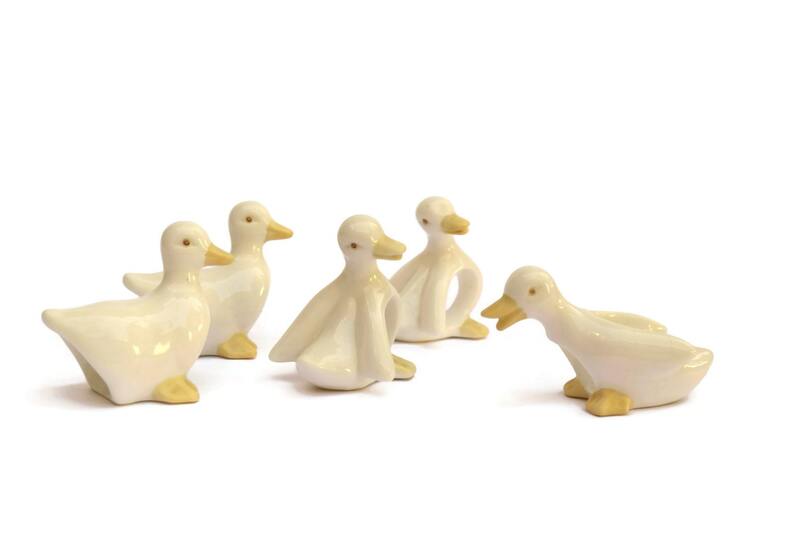 Vintage French Ceramic Duck Napkin Rings. White Serviette Holders. 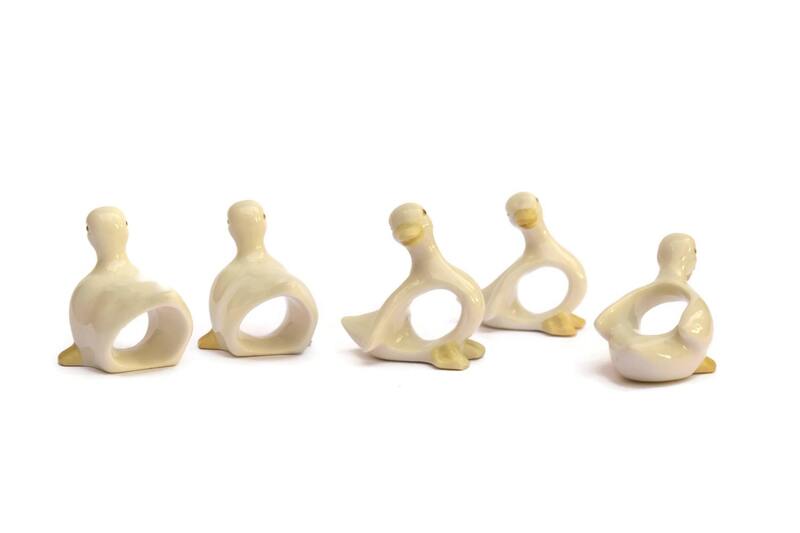 An adorable set of 5 vintage napkin rings created in the form of cute little ducks. 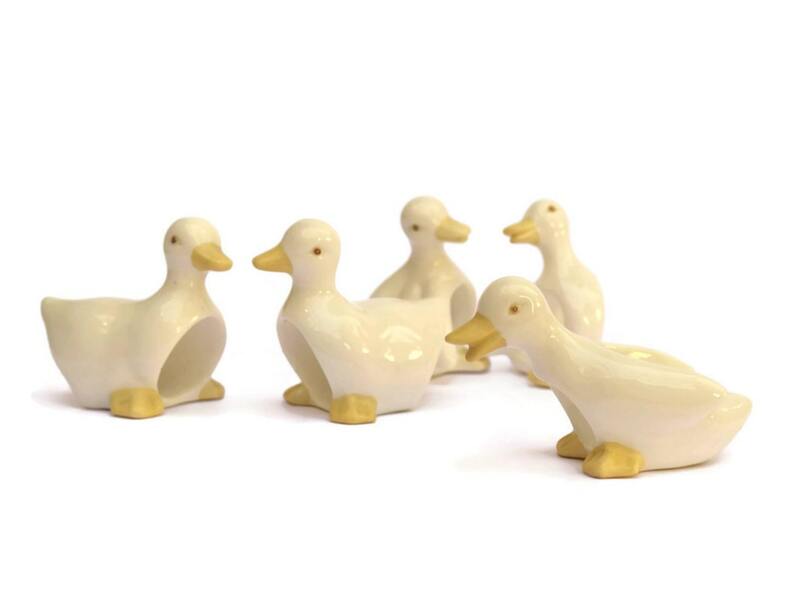 Each serviette holder has been created from white glazed ceramic with yellow highlights. 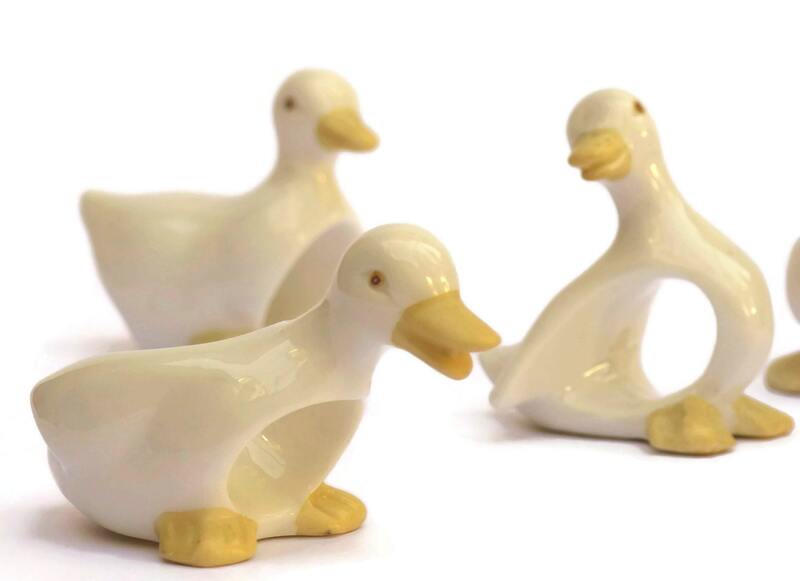 There are two pairs of matching ducks and a single one with a slightly different form. The napkin holders have no visible manufacturer's stamp. 2.5" Long X 3" Tall (6cm x 7.5cm). The set of ceramic napkin rings is in very good condition with no chips or cracks. 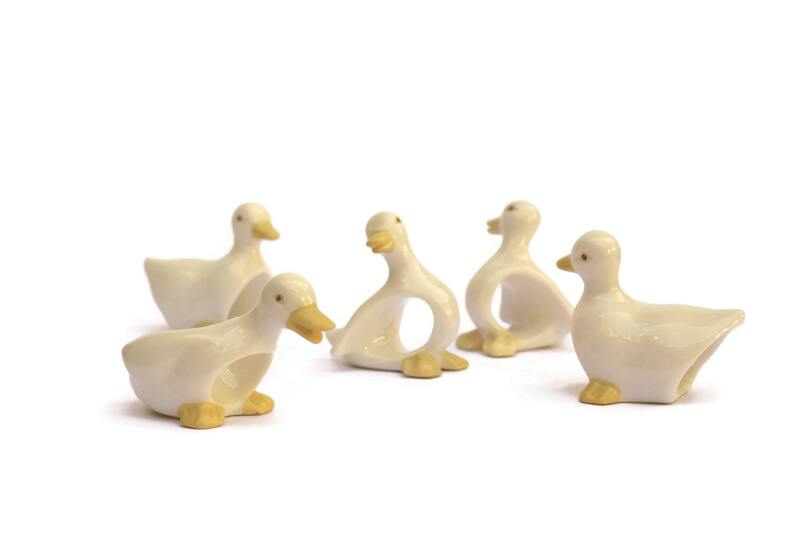 Item ref: Vintage French Ceramic Duck Napkin Rings. White Serviette Holders.